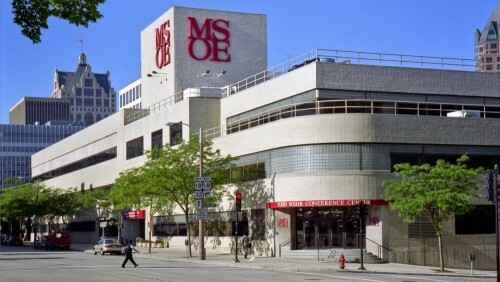 Organizations at MSOE that have a religious, spiritual, faith-based or philosophical focus. VCF is an interdenominational group on campus that believes in making a difference on the campus. This is done through Witnessing Communities in which students gather to learn about the gospel and to grow in relationship with God. It is the vision of InterVarsity that the students and faculty would be transformed, the campus renewed, and that world changers would be developed. JAM is designed to help students interested in Judaism study about it in a meaningful and exciting manner. The types of programs/events that can be expected from this organization include learning about and experiencing various Jewish holidays (Sukkot, Hanukkah, Sabbath, etc…), participating in thought provoking Torah discussions, listening to inspiring speakers, and becoming aware of opportunities to visit and tour the Land of Israel. LCMS-U is a place for MSOE students of this denominational background to gather for fellowship and spiritual growth while living out their faith on campus. Raider Catholic is a fellowship of students, which fosters spiritual development, growth, and community. They host relevant speakers and engaging discussions focused on living out their faith in the context of student life. They promote sacramental life, local service, and prayer. The purpose of this organization is to provide a safe space for Atheists, Humanists, and any other individuals that hold or wish to explore a secular worldview. This organization seeks to facilitate discussions about secular and humanistic topics as well as allow students a place to bring forth such notions and ideas without fear of backlash or persecution. HHH is a student organization dedicated to serving the needs of the Pagan community at MSOE. Founded Friday the 13th of October, 2017, Haven, Hearth & Home exists to offer students the opportunity to experience fellowship, gather for religious celebrations and holidays, attend festivals and events taking place in the larger community and to engage in acts of community service and philanthropy. All are welcome. This is a Wisconsin Lutheran based campus ministry group with chapters on 4 college campuses within Milwaukee. They have weekly bible studies, as well as monthly gatherings, which rotate between the college campuses. The gatherings entail a speaker as well as community with the other TPOG chapters. They also have regular events with the other chapters to just hang out and have fun. The chapters are located at UWM, Marquette, WLC, and MSOE.